Feb.2003. Peter Scott jnr, sent in this old class photo. Webmaister : Peter's Mum is number 7 seated in the front row, Letty McKinlay. Nov.2004 Extract from email Wladek Wolanski, Coatbridge Scotland. My Mum, Ruby Stewart attended Dalmarnock Primary School, with her two brothers John and Archie Stewart. 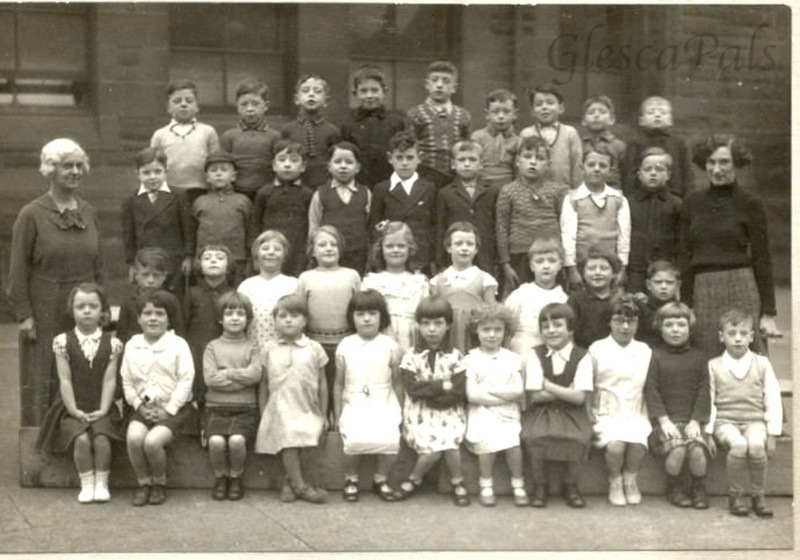 My Mum is third from the left in the front row, in the class of 1935 six year olds. We have had great fun reliving her school memories with the help of the website, especially seeing a photo of her big brother and my Uncle Archie in the class of 1937. On behalf of my Mum I would like to thank the webmaster of this site, as it has been such an enriching thing for me to see where Mum came from. She is now 78 and living in Edinburgh.